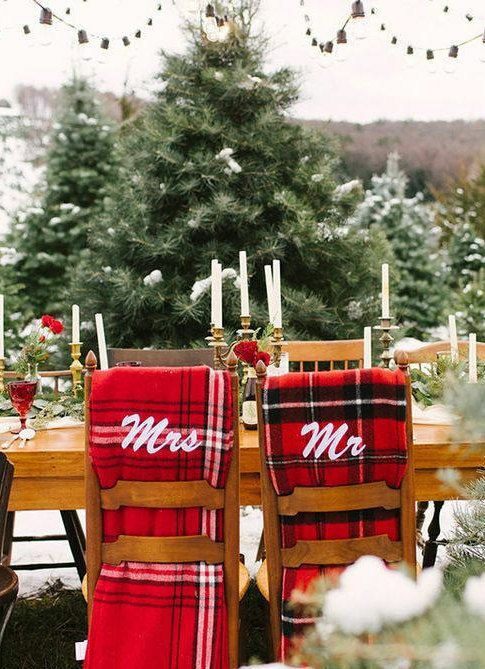 The winter holidays are so romantic - what better of a time to get married than during Christmas? Decorating with Christmas trees is so magical (and smells amazing). 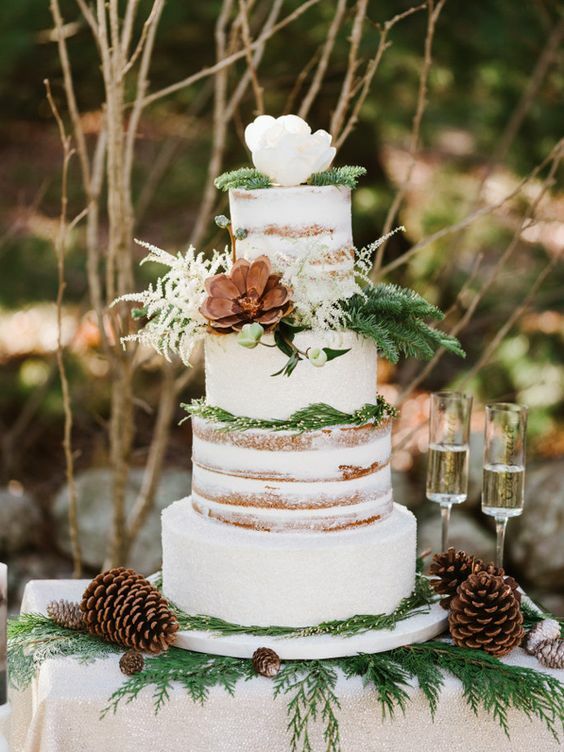 White and greenery with hints of red is the perfect Christmas winter romance vibe! I love the idea of a simple white gown for your winter themed wedding! These Suzanne Neville gowns are unique, flattering, and so stunning. Sometimes simple can make a bigger statement than a full beaded / lace gown. Play off nature when it comes to decorations! Use pine needles, pinecones and of course, snow! The cake can have touches of red to really bring the theme to life! PS. How cute is the middle cake decorated as a sweater!? If cake isn’t your thing - no worries! Winter holidays bring soooo many dessert options! Cookies are the perfect alternative to cake that still fits within theme. And don’t forget about hot coco!